The death of a child is an extremely sensitive issue -- one that requires nurses and other health professionals to be confident in helping families cope with loss and bereavement. This insightful text provides techniques and skills for supporting family members, listening, and offering appropriate assistance. How can we help bevereaved families? How can health professionals help bereaved families in hospital? 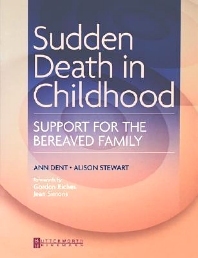 How can professionals help bereaved families in the community? Senior Lecturer and Postgraduate Programme Leader, School of Nursing, Otago Polytechnic, Dunedin, New Zealand.